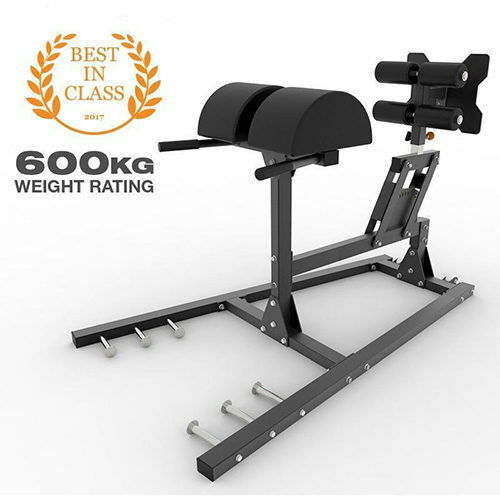 The Force USA Seated Preacher Curl Bench will help you build your arms with a huge range of exercises and is a must have for any gym. 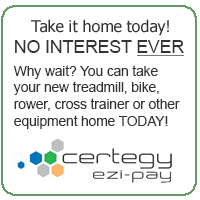 Solid, compact and effective, it is strong enough for gym use, while designed to fit into any home. Featuring SteelForce™ Structural Integrity and heavy-duty, DuraCore™ high density foam padding wrapped in sewn rip-stopVorTex™ Upholstery. Comes with a Lifetime Structural Warranty. 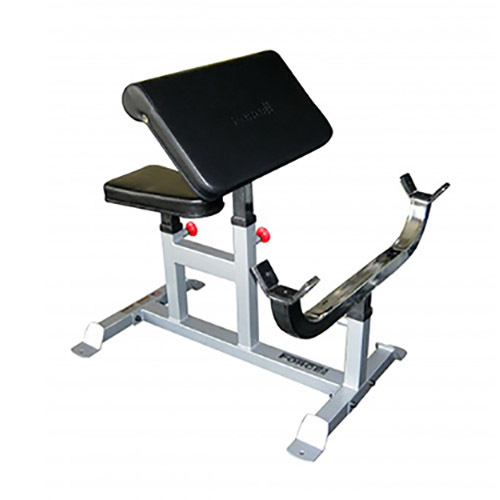 The Force USA Seated Preacher Curl Bench will give you solid and intense workouts for many years to come! Bar catch designed for easy re-racking. 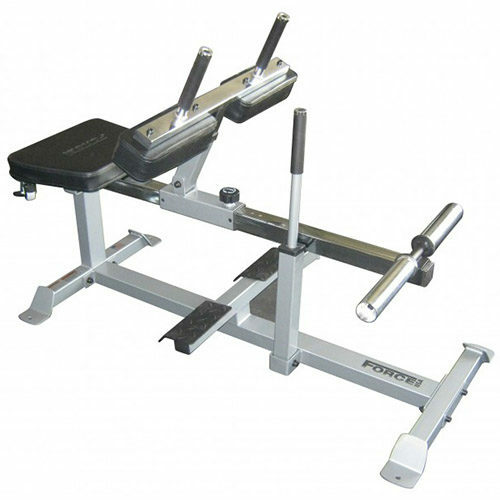 Can be used with both Standard and Olympic EZ-Curl Barbells. Gives you one of the best exercises to build a rock solid physique! 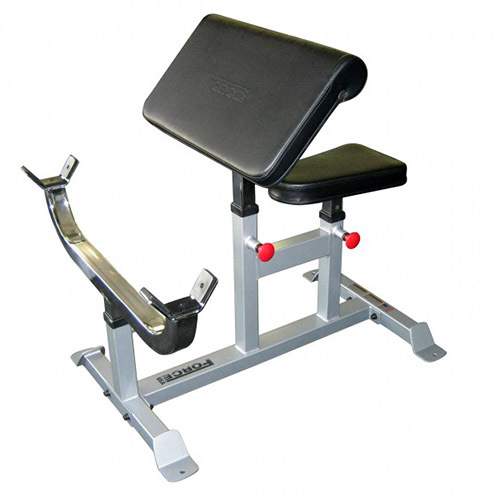 Quality backing and bracing for correct body alignment throughout your workout. 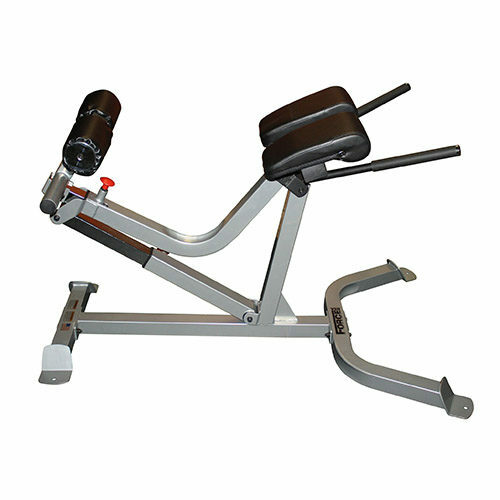 Get a great workout with one of the strongest and most versatile Seated Preacher Curl Bench available. Non-Slip feet gives you a solid and stable workout. “Class A”, Lifetime Structural Replacement Warranty along with 2 years parts warranty on all cables and pulleys.